ComBee T is a highly absorbent cotton padding covered in a gauze tissue. 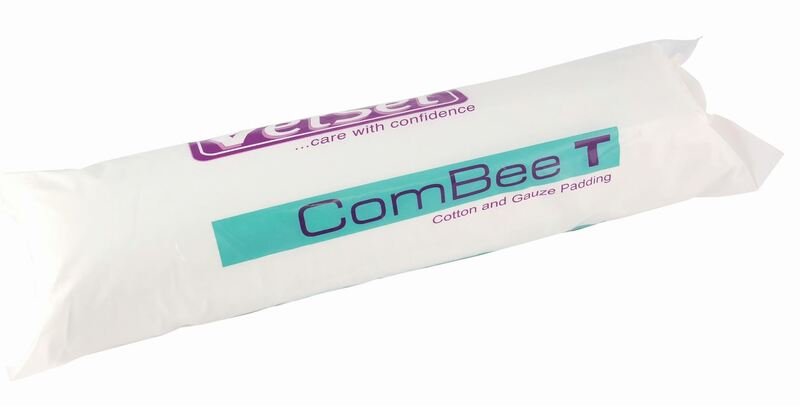 The ComBee T is the traditional medical grade cotton padding – ideal for protection, insulation and absorbency. ComBee T is known for its insulating properties which cushions and protects wounds from external trauma. The low-adherent surface avoids any wound disruption and prevents contamination from loose fibres or harmful particles.